The Bahamas has a proud history of sailing and has also had significant international success with the country’s first Olympic medals (Gold and Bronze) won in sailing events. 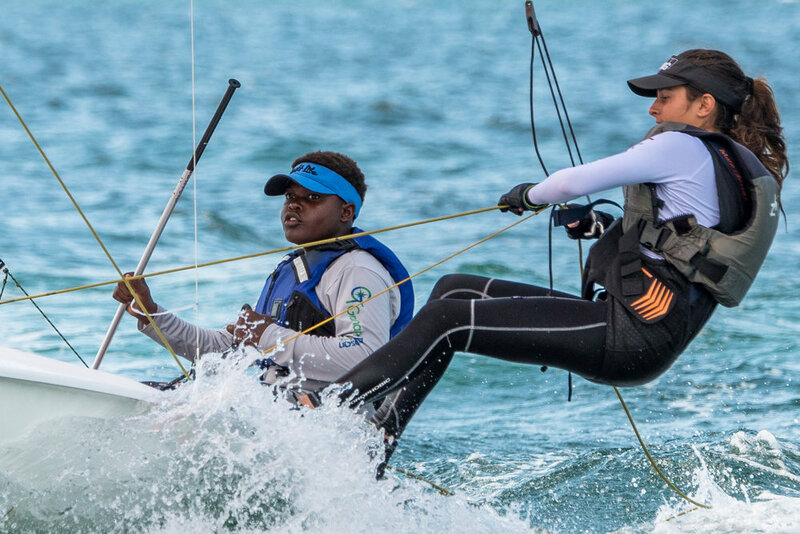 Bahamian sailors currently continue to successfully compete on a regular basis in World Championships and major international regattas. In order to increase the number of Bahamians sailing, the Bahamas Sailing Association (BSA) realized it needed to build a broad base of young sailors and the best way to do it this was through a National Sailing School that caters to residents in all walks of life. Thus, the Bahamas National Sailing School (BNSS) was started in 2004 by the Bahamas Sailing Association (BSA) as a not-for-profit organization. The school’s motto is- “Making a difference in the lives of our youth through sailing” – and we ARE “making it happen.” By adopting the "Let’s make something happen” motto, we teach our sailors to think when they wake up every morning of what’s important and to stay focused on making it happen. Incorporating Sir Durward Knowles’ saying of “Never give up” is also a mantra shared with our kids. Former participants have utilized the skills they learned in our programs to gain entrance into colleges and obtain employment, particularly in the maritime, yachting and hotel industries. Our school is having a very positive impact on Bahamian society at all levels. Our students and their families have become passionate about sailing as demonstrated by their enthusiasm and participation in the many events/regattas held each year and every event is always well supported. All of our efforts are made possible through the financial support of our many generous and loyal sponsors and volunteers and we thank them for their contributions. We believe OUR YOUTH IS OUR FUTURE and are dedicated to helping them develop not only as sailors, but also as healthy, well-disciplined and productive individuals.